Busy Bees Benefits is one of the UK’s leading providers of employee benefits in the UK. Our recent research has highlighted that 65% of employers believe that offering additional employee benefits can strengthen their brand and help with staff retention. Also the research showed that employees are concerned about their future health care needs. · 65% of employers believe that the provision of employee benefits help their business to be seen as a good company to work for. In addition, the provision of benefits helps to retain and attract new staff to their brand. · Also, 75% of employers sampled said that they do provide additional benefits to all staff. · 54% of employers surveyed said that they have helped fund benefits within the workplace through pay roll deductions, either as a salary sacrifice or a voluntary purchase! Within the research carried out by Busy Bees Benefits, we also looked at the link between people’s private spending on health and wellbeing protection against what they have access to within the workplace. · 69% of employees surveyed said they were worried about their long term health and are concerned about what support will be available to them in the future from the state due to increases in the working age and the ever increasing demands on the national health! Cancer, Heart attack and Strokes. However, our respondents were also concerned about Dementia and Alzheimer’s. The message from the research is clear, employees want simple and effective products that will support them at a time of need. They also want access to products that give them tangible benefits. Inertia plays a large part in people not purchasing employee benefits, with 61% of those interviewed just not having got round to it. There is therefore a huge role for employers and their suppliers such as Busy Bees Benefits, to better engage with staff by providing practical support that will raise awareness of products and simultaneously explain how they work. “A clear message emerges from this research. With state support under pressure, employees across the UK want cost-effective support and access to protection that will plug the gaps in both public and private healthcare and provide extra financial wellbeing support at a time when they may be unable to work. What does the future hold for employee benefits product design? “It is common sense to ensure that, wherever possible, the people who make up organisations feel good about themselves and their working environment”. This means that relevant and effective employee benefits must play a key role in delivering good work environments. The employee benefits industry is still suffering from too few new ideas and little innovation. Jack Trout a leading strategist said “Good business is always the result of great ideas but great ideas don’t always result in good business”. The employee benefits sector is littered with the debris of broken products, product proliferation and complexity. This is especially true of financial services products, with companies having to pay out significant amounts of compensation in recent years. Despite the opportunities that the changed landscape in pensions has offered in recent years, health and protection providers are not moving quickly enough to seize the moment and meet the needs of both employers and employees. The protection gap has become larger according to the latest Swiss Re reports and too few providers are focusing on the delivery of tangible practical benefits. The traditional protection industry is still focused on designing products by internal committees and failing to really engage with customers, which means that the great opportunity presented by pension products has not been seized upon. Research conducted by many organisations keeps telling us that employees want practical and tangible products that make an immediate difference to their lives. Since the 2008 financial crisis, employers have been under constant budget pressures in terms of managing their staff costs and are keen to find new ways of providing affordable employee benefits to ensure that they protect and support their employees. Employees themselves are becoming less satisfied with their benefits; in its recent annual survey, Willis PMI Group, part of Willis Towers Watson, found that only 44% of employees are happy with their packages and this is 7% down on the previous year. The product area that has received less attention is that of salary sacrifice schemes. These offer immediate solutions to employees’ needs and can help to create family friendly work environments. There are many small employee benefits providers which offer a wide choice of services ranging from childcare vouchers, nursery provision and retail discounts to environmentally friendly services such as cycle to work schemes. All of these products can be consumed by employees immediately and therefore drive employee engagement from day one. These products are also clear and transparent so that employees understand what they are buying and that it fits their needs at present and into the future. Family friendly benefits are increasingly important as employees give a greater focus to work-life balance concerns. Women now account for nearly half of the workforce in the UK, and with over 80% of them becoming mothers during their working life, these sort of benefits have a vitally important role to play. Employers offering high quality employee benefits and childcare provision often see it as one of the most effective ways of supporting and rewarding their employees. This can be combined with employee assistance programmes to deliver wider support and advice around other dependants that the family may need to look after. Salary sacrifice is a fantastic way to engage with employees and save money both for the employee and organisation, by making savings in tax and national insurance contributions. A significant opportunity exists for all employee benefit providers to work with other companies to develop and launch new products that integrate and deliver financial protection. The key ingredient in this will be empowerment and inclusion of the employee in the design of the solutions. Staffordshire employee benefits firm, Busy Bees Benefits is celebrating after receiving the Investors in People core accreditation. The company’s new standard is also joined by the re-accreditation of ISO 9001, which certifies commitment to quality management. Investors in People and ISO 9001 are standards developed to benchmark capabilities and highlight the small steps required to improve. To meet the Investors in People criteria, companies must evidence that they are leading, supporting and improving their staff. Similarly, to achieve ISO 9001 businesses must prove their ability to provide products and services that meet the needs of their customers and other relevant stakeholders. Busy Bees Benefits services businesses of all sizes with salary sacrifice and lifestyle schemes. The nature of the business means employees are of the upmost importance. “We are over the moon with our new standards,” commented Louise Wesley, operations director at Busy Bees Benefits. “As an employee benefits company it is very important that we practice what we preach. The Investors in People accreditation not only confirms our dedication to our own workforce, but signifies the importance we place upon employees as a whole. “And as for timing – it couldn’t have been awarded to us at a better time with the continuation of our ISO 9001 standard! This helps us to ensure our services and systems are operated to the standard required by employers and employees alike. “Both standards are very challenging to meet and they are increasingly seen as a measure of a quality employer and service provider. Our success not only reflects our own commitment, but is also an acknowledgement of the effort of everyone who works for our organisation,” she concluded. One of the main barriers to providing a Childcare Voucher scheme has now been removed. Here, Busy Bees Benefits tells us why it’s not too late to set up a scheme. Up until now, employers that provided the Childcare Voucher scheme were advised by HMRC to cover their employees’ Childcare Vouchers in periods where only Statutory Maternity Pay (SMP) was paid to the employee. However, a ruling from an Employment Appeal Tribunal on 9th March has stated that this was not a correct interpretation and employers are not required to continue providing Childcare Vouchers in a period where there is no salary to be sacrificed. In other words, employers will not have to cover childcare vouchers when a member of their staff is being paid SMP only. Many organisations including small and medium sized businesses may have been deterred from providing a scheme due to the previous advice. Now that the situation has been clarified, employers who previously looked into offering a scheme can take advantage of the NI savings without having to worry about the potential burden of extra costs. Employers that are now reconsidering the scheme should move fast as the Government will be launching Tax-free Childcare in 2017. This system will be operated by the government without employer involvement so there are no business savings opportunities. On the other hand, Childcare Vouchers are a well-established employee benefit which can save an organisation up to £402 per employee on the scheme each year; as vouchers can provided without payment of Employers National Insurance contributions. Once Tax-free Childcare is launched, no new joiners can participate in a Childcare Voucher scheme. Childcare Vouchers will remain in existence for as long as they are required, although only for those already using them. There is urgency for employers to set up a Childcare Vouchers scheme now to maximise their National Insurance savings whilst simultaneously providing their employees with the choice to use whichever scheme provides them with maximum savings. Setting up and administering a Childcare Voucher scheme is quick and easy. Not only will your employees save money on their childcare costs, their motivation, production and retention will increase. Therefore, offering a scheme can enhance your employer profile. If you would like to discuss setting up a scheme, please contact Busy Bees Benefits or visit www.busybeesbenefits.com for more information. Thinking about buying a new car this month? Stop and read this first! As new number plates fly off the shelves this month, the idea of a hassle-free, shiny new vehicle might be playing on your mind. If it is and price negotiations aren’t your strong point, you might want to consider an alternative method to help bring down the price. According to Busy Bees Benefits, salary sacrifice car schemes can save you nearly half the price and your employer can benefit from the savings too. If you're purchasing a new car this month, make sure you speak to your employer first. Salary sacrifice schemes can save you a large amount but do vary on each individual car and each individual person's salary. For example on the Busy Bees Benefits Car Leasing scheme, someone who is paid the average salary of £26,500 per year, would save 26% on a BMW i3 Hatchback - reducing monthly payments from £459.30 to £339.34. These payments also cover MOTs, servicing, tyres, tax and insurance. Make sure you enquire with your HR department to see if a scheme could help with your next car purchase. “If you’re not a natural born haggler and you’re currently in full time employment, using a scheme like this will help more than ever this month,” explained Jo Dalby, Finance Director at Busy Bees Benefits. “This is due to the peak in car sales, which happen every March and September when new number plates are released. If you go straight to the high street this month, you might find that it is more difficult than usual to negotiate on price. These car schemes mentioned by Busy Bees Benefits allow you to exchange part of your salary for a fully funded car. "Throughout the scheme, you have monthly payments deducted from your salary and at the end of the lease you have the option to purchase the car, return it or lease a new one. It’s just like leasing a car on the high street, but the salary sacrifice element makes it much cheaper! Often these schemes also offer you a one payment solution that covers everything except fuel! “A new car doesn’t have to cost you the earth and if you really need to purchase one during the month of March, speak to your employer first!” she concluded. Busy Bees Benefits is willing to contact employers anonymously for anybody who needs to use a salary sacrifice car scheme. Should you wish for your employer to offer the scheme, head over to http://busybeesbenefits.com/carleasing to fill in a short form. Car sales peak in March and September due to the release of the new number plates. As a result, cars with older number plates start to depreciate as they are perceived to be a year old. Many of your employees may be looking forward to the launch of the 16 number plates in March and consequently, considering the ways they can save money. Offering a car scheme can enable your staff to have a brand-new, low emission car for less and provide your business with access to National Insurance savings, as well as helping with CSR initiatives. Offering a scheme during this popular month for car sales is likely to maximise on uptake, making it the perfect time to put in place. Your employees select a vehicle and have monthly payments deducted from their salary for 2-3 years. At the end of the lease, they have the option to purchase the car, return it or lease a new one. The scheme offers employees a one payment solution that covers everything except fuel. MOTs, servicing, tyres, tax and insurance all covered by the scheme. Any organisation, irrespective of size, can participate in the car schemes and they are often cost neutral to provide. Companies should be aware that all schemes are different and make sure they get the best offering from their employee benefit provider. Louise Wesley, Operations Director of Busy Bees Benefits, comments; “27% of UK employees state a car incentive scheme as their ideal perk, according to a study by the Institute of Leadership and Management. “This comes as no surprise because purchasing and maintaining a vehicle continues to be very costly for most employees. “Offering a scheme that decreases the cost of buying and owning a car can aid in retention and employee engagement. “In addition, providing employees with safer, more modern vehicles can help with your duty of care and affords better management of your 'grey fleet' as vehicles are brand-new and fully road legal,” she concluded. In the final year of the Childcare Voucher scheme, the ability to maximise on National Insurance (NI) savings is extremely important for employers. However, despite the limited time left to offer Childcare Vouchers, some scheme providers are still failing to meet the basic service expectations of their clients. A number of large and public sector businesses who had hoped to capitalize on business savings before the launch of Tax-free Childcare are being let down by their provider and having to switch to alternative employee benefit companies. It is not uncommon to receive an automatic reply from your provider when you send an email enquiry, but if your email isn’t answered within the time frame they provide, there is something going wrong. It is a very basic requirement that your enquiry is treated with the level of urgency it needs. If your emails aren’t being answered or if your provider takes longer than they promise to get back to you, it might be the right time to consider your options. As an experienced provider of Childcare Vouchers, we can tell you that setting up a new account does not take two weeks. If you’ve requested a new account to be set up, make sure that it is done as soon as possible to ensure your employees have enough time to set up their voucher order. The Childcare Voucher scheme should benefit both employer and employee. If your voucher provider is charging a flat fee rather than taking a small cut of your NI savings, the benefit to your business could end up substantially lower. A provider should only make money when your business does, so if you find that you’re being charged a fee when no one in the business has used the scheme, your provider probably doesn’t have the interests of your business at heart. If an employee can’t use their voucher as soon as the money has been sacrificed there is a problem. Whether the waiting period is three days or five days, an employee that has to wait to pay a childcare provider is inconvenienced. Be sure that the scheme you’re providing isn’t doing more harm than good. The provision of the Basic Earnings Assessment greatly reduces the administrative burden on employers. From the information given, the Busy Bees Benefits system calculates employees’ childcare voucher entitlement, minimum wage checks and stores the information in readiness for annual audits. If your provider asks your employee to fill out an excel spreadsheet and send it back, there may be reason for concern. Other issues confessed by companies operating schemes through poor providers include changing charging structures, high levels of administration and hidden cancellation fees when an employee terminates their order. If you’re experiencing any of the common issues reported by Busy Bees Benefits, or if your provider has measures in place that are stopping you from receiving you final year’s full savings, it might be time to consider switching providers. The cost of raising children from birth to the age of 11, has risen significantly in recent years by 4% to the figure of £87,000*, according to the annual Halifax Cost of Childcare research. Unsurprisingly, childcare is the largest and most costly element of raising a child, accounting for nearly half of the monthly outlay for each child (**£320). The cost of childcare can vary, depending on the child's age and needs. Many parents will not need childcare after their children start school, other than for school holidays. With holiday clubs, play schemes, activity camps, child minders and nannies, there are a variety of options to choose from, however, these can be costly. There is a way to help parents save money on childcare costs this half-term: through using Childcare Vouchers. Childcare Vouchers are available through employers to pay for any registered childcare for children up to the age of 16, and can provide savings of up to £933** per year. Simple to use, a chosen amount is deducted from your wages in return for the same amount of Childcare Vouchers before tax and National Insurance. They are then placed into an online account for parents to use to pay their childcare provider(s). Vouchers can be deducted each month or as and when they are required. They can be saved up in the online account for when they are needed – perfect for those who only need them to pay for sporadic or school holiday childcare. Both parents can join their employer's Childcare Voucher scheme, potentially doubling savings – making childcare more affordable. The Government were planning to launch their new Tax-free Childcare scheme in autumn 2015, but this has now been delayed till 2017. Currently, Childcare Vouchers are the only option for working parents who want to save on their childcare costs. Furthermore, they will be many parents who will be better off continuing to use Childcare Vouchers as the savings they provide will be more than they would get through Tax-free Childcare. Under the new scheme, many parents will be worse off, including middle-low earning parents, families with only one working parent, families using childcare for only a few days a week and those who have children in childcare over the age of 12. Childcare Vouchers are therefore the answer. Speak to your employer today about Childcare Vouchers – they will save money too. Alternatively, contact Busy Bees Benefits at www.busybeesbenefits.com or on 0330 333 9100 and they will discuss the scheme with employers on your behalf. 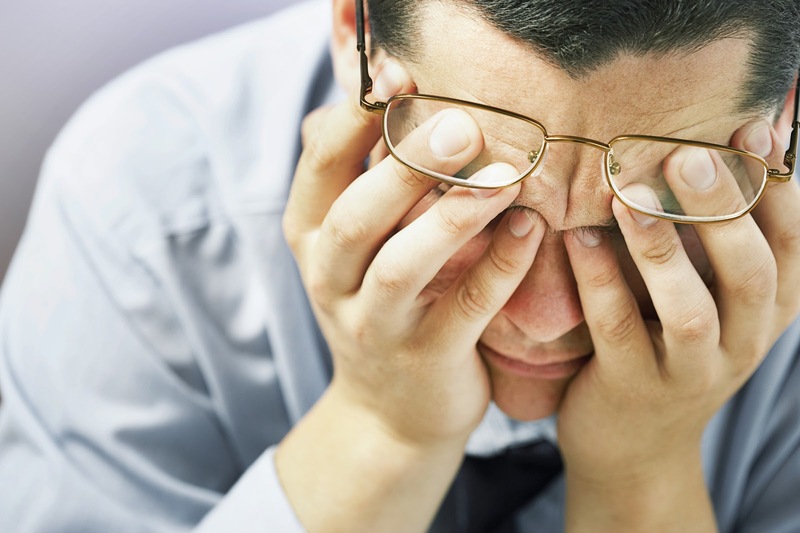 Mental health in the workplace is a topic that has been under scrutiny recently. As work environments become more pressurised and employees work longer hours, stress related illnesses are becoming more prominent. According to Busy Bees Benefits, the spotlight has been shone on employers as mental health seems to be slipping through the net when it comes to legal health obligations. Despite mental health campaigns coming to the forefront on social media, there are still a large amount of employers who shy away from their responsibilities. However, this doesn’t have to be the case. Employers should ask themselves what plans they have in place when an issue occurs. If HR managers don’t have the time or skills best equipped to solve a mental health issue, one option is an Employee Assistance Programme (EAP) – this scheme provides around the clock telephone counselling and an online help system. That being said, every employee is different and mental health issues are varied. EAPs are great and will suit a large majority of staff, but there is no such thing as a one-size-fits-all scheme. An EAP should work as part of a greater strategy. The best way to combat mental health issues is to introduce an open door policy, create a fair working environment and communicate any schemes you have in place to ensure maximum take up. “We’re all well aware of employers’ responsibilities to maintain their employees’ physical health – and we’ve seen the horror stories when they don’t,” commented Louise Wesley, Operations Director of Busy Bees Benefits. “But often, mental health is side-lined and employees don’t know how to seek help when their work life becomes a bit too stressful. Picture the moment – you’re in a classy restaurant on a first date with your new potential life partner. It’s Valentine’s Day - you’ve had a great time, drinks have been flowing, the food was brilliant and you both agree to settle the bill. However, your date, who had ticked all the boxes up until now, pulls out a voucher for 50% off the bill. Do your opinions of this person then change significantly? Absolutely not, according to research conducted by Busy Bees Benefits. It’s OK to have a drink, but if you need carrying home, you may as well write off any hopes of speaking to your date again. This is one for the ladies – however, some men should also take note. Never assume that your date is going to pay for your meal. It might be a date but this is 2016, it’s time we rule out the age of sexism. We all love MTV’s Catfish, but we don’t love when the same thing happens to us. If your first date is with someone you met online, keep your profile picture realistic. If you’re looking for a sure-fire way to put your date off, try flirting with the server. Not only will you annoy your date, but you may also end up eating alone! On the other hand, there’s nothing worse than sitting next to someone who gets a kick out of being unpleasant towards restaurant staff. If there’s ever a time to be swallowed up by the ground below you, this is probably it. So there we have it! If you’re one of the few put off by a money-savvy date, take another look at this list and remind yourself – it could be a lot worse! Restaurants, hotels and other attractions are known to hike up their prices on Valentine’s Day, so a voucher or discount code isn’t anything to be ashamed of! Romance isn’t ruined by discounts, so if you need a way to save money this Valentine’s Day, ask your employer about retail discount schemes. They’re a great way to cut costs, whether it’s for a gift, activity, hotel stay or restaurant visit. Besides, if you’re romantic enough, your date isn’t likely to care about how you pay your half of the bill anyway!